Get high marks in UGC NET Paper 1 using our latest UGC NET General Paper 1 notes, buy online now. At Learning Skills, we conduct CBSE UGC NET Management coaching in Delhi. That includes all papers 1, paper 2, and paper 3. We help you to effectively prepare and qualify for the NET Management exam. UGC NET Management exam syllabus is extensive, which contains all streams of management. This makes it difficult to prepare for NET Management exam in within short time. Moreover, questions of calculative and quantitative nature are quite difficult. That often consumes most of the time during the NET Management exam. Therefore, full and robust preparation is a must before you sit. Learning Skills in collaboration of faculties have developed detailed preparation strategy for NET Management. That allows students to not only complete but understand the concepts. Also, prepare you for complex quantitative and mathematical questions with practicals. Mock test series are an intrinsic part of NET Management coaching curriculum at Learning Skills. Furthermore, we provide track your progress to help you evaluate your performance. We at Learning Skills only engage UGC NET qualified teachers only. Who can help learn tips and tricks to easily crack NET Management exam 2018. We regularly share previous year questions, tips to crack UGC NET Management, alerts, updates and news on our Facebook page. Like and follow to stay updated. 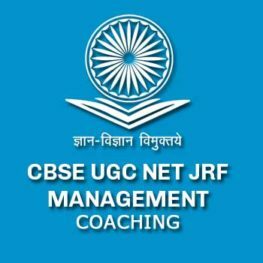 Registrations will soon open for UGC NET Management 2018 Exam. Call us on 9999149355 for more info.